Named the world's leading beach destination at the World Travel Awards in 2011, Trou aux Biches ranks among the most beautiful resorts on the island of Mauritius. Get some cultural insight at Trou aux Cerfs and Maison Eureka. You'll enjoy a bit of beach vacationing at Flic en Flac Beach and Ile aux Cerfs. You'll find plenty of places to visit near Trou aux Biches: Port Louis (The Photographic Museum, Aapravasi Ghat, & more), Albion (Albion Lighthouse & Phare d'Albion) and Siva Soopramaniar Kovile Bel-Air Riviere Seche (in Bel Air). There's much more to do: take a tour by water with Boat Tours & Water Sports, see the interesting displays at Chateau De Labourdonnais, get in on the family fun at Casela World of Adventures, and enjoy the sand and surf at Mont Choisy Beach. For more things to do, ratings, photos, and other tourist information, use the Trou aux Biches online trip planner . San Francisco, USA to Trou aux Biches is an approximately 29-hour flight. The time zone difference moving from Pacific Standard Time to Mauritius Time is 12 hours. Expect a bit warmer evenings in Trou aux Biches when traveling from San Francisco in July, with lows around 67°F. Wrap up your sightseeing on the 18th (Thu) early enough to travel to Rodrigues Island. Start off your visit on the 19th (Fri): tour the pleasant surroundings at Francois Leguat Giant Tortoise and Cave Reserve, pause for some serene contemplation at St Johns Church, then see some colorful creatures with a scuba or snorkeling tour, and finally take in the views from Suspension Bridge. On the 20th (Sat), you'll have a packed day of sightseeing: look for gifts at Care-Co, explore the wealth of natural beauty at Grand Montagne Nature Reserve, then kick back and relax at Trou d'Argent Beach, and finally take in the architecture and atmosphere at Cathédrale St Gabriel. To find reviews, more things to do, maps, and other tourist information, use the Rodrigues Island online trip itinerary planner . Traveling by combination of car and flight from Trou aux Biches to Rodrigues Island takes 3 hours. Alternatively, you can ride a ferry. In July, daily temperatures in Rodrigues Island can reach 78°F, while at night they dip to 69°F. Finish up your sightseeing early on the 20th (Sat) so you can travel to Le Morne. Satisfy your inner culture vulture at Le Morne Brabant and The Martello Tower Museum. Explore Le Morne's surroundings by going to Musee du Coquillage (in Bel Ombre) and La Vanille Nature Park (in Riviere des Anguilles). Next up on the itinerary: stroll through Seven Colored Earths, identify plant and animal life at Wildlife Areas, take in the spiritual surroundings of Saraswati Maa, and pause for some photo ops at International Slave Route Monument. To find other places to visit, maps, where to stay, and other tourist information, use the Le Morne trip builder app . You can do a combination of flight and car from Rodrigues Island to Le Morne in 3 hours. Another option is to ride a ferry. 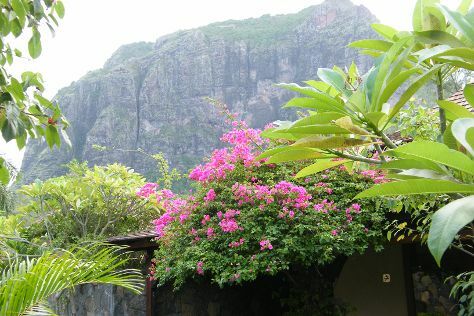 July in Le Morne sees daily highs of 77°F and lows of 67°F at night. Finish your sightseeing early on the 24th (Wed) to allow enough time to travel back home.